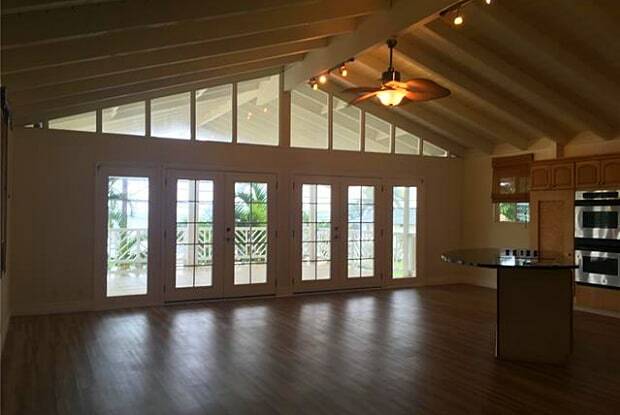 Spectacular views from this 500+ s.f covered lanai right across the street from Kaneohe Bay with a view of Chinamans' Hat and the beautiful Ko'olau Mountain range! This home is on a large level lot with a fully gated yard. 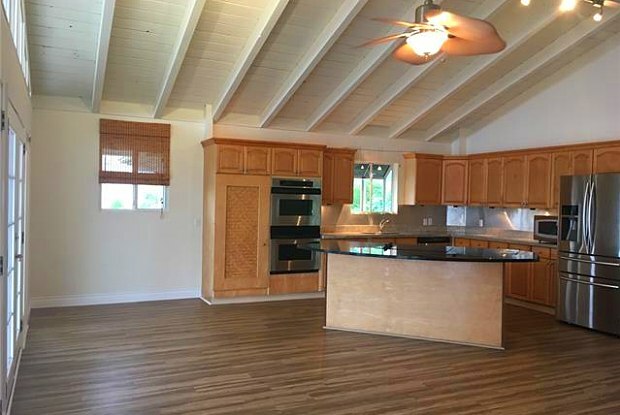 This home boasts granite countertops with stainless steel appliances. Living space is upstairs and bedrooms are downstairs. Washer and Dryer inside home and 2 car enclosed garage. Monthly yard service and trash is included in rent. Have a question for 47-754 Kamehameha Highway?